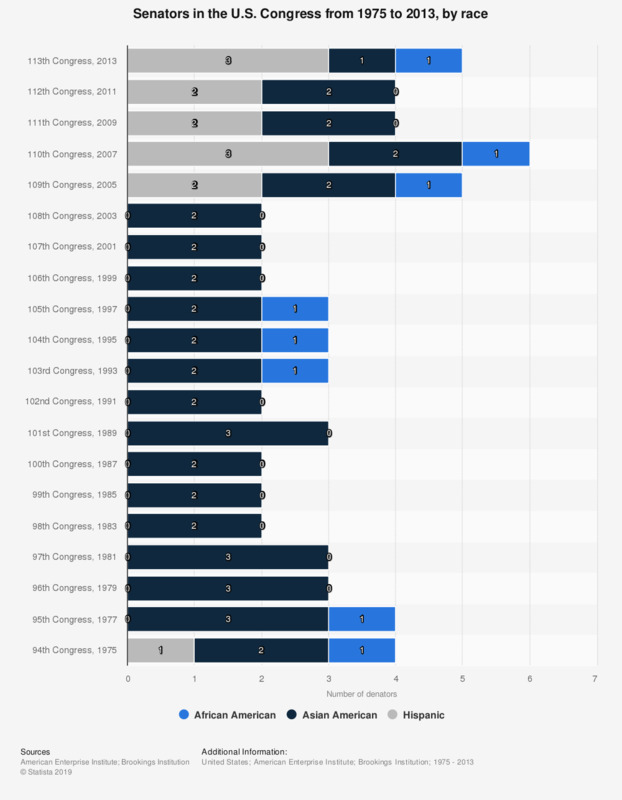 This graph shows the number of African American, Hispanic, and Asian American Senators in U.S. Congress from 1975 to 2013. The 113th Congress consisted of one African American senator. The data for the 111th Congress excludes vacancies. Data for the 105th and 111th Congress regarding Hispanic congressmen are not available.